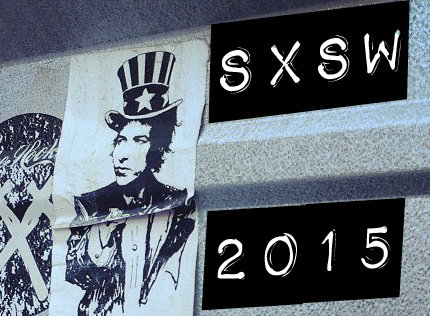 This year’s SXSW was a unique experience for several reasons. For one, it was the first year where I spent the entire week going to shows by myself. In the past I’ve been able to coerce a friend or two into joining me, but my persuasive skills were not as effective this year. This year’s list of bands also lacked the same “star power” as it usually contains. Most years, I have a handful of must-see artists on my list. In a weird way, this lack of beloved artists made for a more exciting week of shows. Instead of spending my time trying to catch some of my favorite bands, I focused my energy on discovering new music, which really is the point of attending SXSW. Without a list of favorites bogging down my days, I was allowed to explore the musical landscape. Here are some of my favorite moments/performances of the week. This year, my SXSW experience felt a bit like a walk down memory lane with performances by such 80s and 90s legends as Jesus and the Mary Chain, Corrosion of Conformity, Built to Spill, and Pennywise. All these bands, although aged and weathered, put on inspired performances that were highlights of my week. Despite the daily rekindling of my youth, I also discovered more bands this year than I have in years past. As with every year, below you will find some of my favorite performances, showcases, and the less than stellar experiences of the week. Slough Feg. The instant I saw this name on the SXSW 2011 roster, I vowed to myself that I would see them. With only a couple of appearances, I knew I couldn’t afford to do like I do with most bands and figure I can see them at a show later in the week. No, I had to see Slough Feg again after discovering them two years ago at a show that still runs vividly in my memory. After spending the day being pampered at the Rhapsody Rocks day show (read SXSW 2011 part I for more information on this “Spa Day for Drunks”), we hailed a cab and began the long drive over to Trophy’s Bar on Congress where Slough Feg would be playing in an hour. A 15-dollar cab fare just to see one band? You obviously haven’t seen Slough Feg before. Once at Trophy’s, we burst through the door, worried we’d missed the start of the show, but instead, we walked into a bar of zombies, sitting casually at the bar, not seeming concerned at all about the band that was about to blow the roof off the murky little crap-hole. To keep our Guinness buzzes alive, I ordered up a round of four-dollar cans of Lone Star. So much for being spoiled. I then planted myself in front of the stage as the band set-up. Soon after, the madness began. Slough Feg sounded as good as I remembered and put on a performance just as grandiose as the last. The silly banter, the costume changes, the epic double lead guitar solos: it was all there as I recalled. Within five minutes, the once zombie patrons had turned into a raging mass of minions, crowding the stage and begging for more guitar solo insanity. Slough Feg playing despite the dust storm inside Trophy's. Despite our efforts, he wouldn’t budge. I couldn’t fathom why. They were the final band of the show! There was no reason to make them quit. Yet, he ignored us, exerting his power trip upon all of us and angering the Gods of Metal up above (somewhere Dio is plotting revenge on Trophy’s). And how had he resisted the power of Slough Feg so easily? He must have been a warlock. It’s the only explanation. In the early years, I had a category set aside for former MTV VJs I spotted (Matt Pinfield, Dave Holmes), but it soon after transformed into a look-a-like award. For a few years I had an award for the guy who looked the most like my high school basketball coach Jared Cecil, but that ended when I realized that Justin Vernon was not only the brains behind Bon Iver but that he also served as the bassist to The Rosebuds (I could have continued this tradition if I’d only caught a Gayngs show this year). For SXSW 2011, the award takes another obscure turn as I name the biggest Jon Koncak look-a-like. Who’s Jon Koncak? Well, from what I remember as a basketball card-collecting child, he was a power forward for the Atlanta Hawks during the late 80s and early 90s. It’s not like I’m a huge fan, in fact, I probably haven’t thought of his name since I was 13. 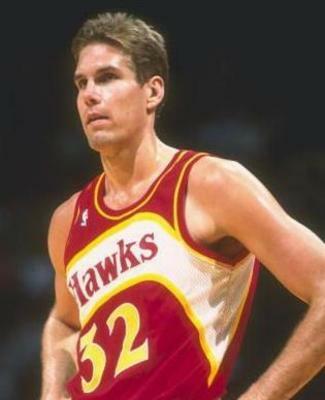 Then of course, while sitting around at the Rhapsody Rocks show, I spotted a hipster walking around in a retro Atlanta Hawks jersey, and that old NBA Hoops basketball card came rushing back into my memory. The combination of his quaffed hair and the bright red and gold jersey sent me back to my adolescence within an instant, and I couldn’t stop laughing for the next half hour. Jon Koncak has never looked more douchey. I wasn’t expecting much from Colin Stetson. Don’t get me wrong, his latest release “New History Warfare Vol. 2: Judges” has been in constant rotation on my i-Pod for the past month, but I just didn’t see how he could transfer the sounds he conjures up on the album to the stage. If anything, I figured he had to use a loop pedal or at least have a back-up band of some sorts. You can imagine my shock when he walked out at the NPR day party with only a saxophone in hand. No drum machine, no pedals, no back-up. Just Stetson and his enormous bass sax. For the next 20 minutes I was transfixed on Stetson, honking an endless stream of notes out of his saxophone while howling out humming parts via his vocal chords. In all my years of going to shows, I’ve never seen one musician exert so much effort, focus, and passion within a performance. You could see his muscle tensing, every vein straining, his lungs constantly heaving for air as he continued a flow of endless cascading melodies. The fact that he only played four songs didn’t even bother me; the man deserved a break after putting on what would be the best show I saw all week. The NPR party had even more surprises in store with tUnE-yArDs breaking the mold I’d set for who and what they were all about. I enjoy Merrill Garbus’s album “Bird-Brains” for its intimacy and raw energy, so I expected a show that was barebones and delicate. Wrong again. Garbus and her band, composed of a bass player and two saxophonists, put on a spirited show filled with head-thumping beats created via loop pedal, live on the spot, all banged away by Garbus herself. Who knew that she is an 808 in human form? For each song, she’d start off with what sounded like a mistake, off-beats and strange clicks and clacks – everything out of place. Then, right before all our eyes, one beat at a time, layer upon layer, it suddenly turned into the freshest beat south of the Canada (we all know that Canadians can rock a fresh beat). Her music also took a turn toward a more dub-reggae direction while her unpredictable hooting and hollering that reverberated off the walls like a pinball. If her performance means anything, her next album should be a boisterous affair. I probably set myself up for this let-down. Since first hearing Cloud Nothings last November, I’ve been gushing about Dylan Baldi’s irresistible pop sensibilities and listening to his three official albums constantly. I should not be shocked that after such hero-treatment for an 19-year-old kid that he wouldn’t live up to my expectations. I thought his brand of pop-punk would be perfect for an afternoon show at SXSW, but something was missing. The guitars seemed weak and trebly, the vocals strained and lost, and the songs lacked the fun that I’ve always found while listening to the albums. But probably what hurt the show the most was Dylan’s complete lack of confidence as the front man. It felt like watching a 10-year old kid play his first piano recital. Then again, he’s only 19. I’ll give him a few more years before I write off his stage presence. They rarely tour in the U.S.
Not to toot my own horn too much, but of everything I saw during the week, it truly was the “must see performance”. They somehow sounded better than they do on “Little Deaths” with the guitars crunching out a little more attitude to take their already stellar set list to another level. Throughout most of the show I found myself lost in the music, but during one song break I took a moment to think about my old SXSW buddy PtheStudP and how much he would have loved their performance. For a show that didn’t seem like it could get any better, having my pal PtheStudP would have made it just a little bit sweeter. Here’s to hoping the Pirates find their way to Austin’s shores in 2012.